Clark was born and raised in Pikeville, Kentucky. He graduated from Transylvania University in 2001 with a Bachelor of Arts in psychology and a minor in business administration. Clark graduated from the University of Kentucky College of Law in 2005. During law school, he clerked for Savage Garmer Elliott and O’Brien, PLLC, and Garmer and O’Brien, LLP. 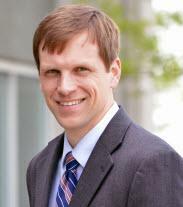 Upon graduating from law school in 2005, Clark was offered a position working as an associate with Garmer and O’Brien. In 2009, Clark moved to Ashland and joined the law firm of Martin and Vincent. He continued to focus his practice on representing injured persons, and for the first time, he gained experience defending civil cases. While at Martin & Vincent, Clark worked on bodily injury cases in nearly every county in eastern Kentucky, and he had the opportunity to try bodily injury cases in both Pike and Boyd Counties. Clark became a partner at Martin and Vincent in 2012. After giving it much thought, Clark made the decision to leave Martin & Vincent in 2014 and started his own law firm to again devote his entire law practice to representing injured persons and their families. Clark returned to Lexington in 2015 and rejoined Steve O’Brien. They formed O’Brien Batten & Kirtley in 2017. Clark devotes his entire practice to personal injury, including nursing home abuse and neglect, medical negligence, motor vehicle collisions, trucking accidents, wrongful death, premises liability and marina negligence. He represents clients throughout the commonwealth, with an emphasis on eastern Kentucky. He represents the victims of electric shock drowning and their families throughout the United States. Clark is admitted to practice in the Commonwealth of Kentucky, in the U.S. District Court for the Eastern and Western Districts of Kentucky, and in the U.S. Court of Appeals for the Sixth Circuit. He is a member of the Kentucky Bar Association and the Kentucky Justice Association. While in Ashland, he served on the board of directors for the Ashland Young Professionals Association, Ashland Main Street and Ashland in Motion. Since returning to Lexington, Clark has helped teach a litigation skills class at the University of Kentucky College of Law. Clark is actively involved as a board member for the Electric Shock Drowning Prevention Association. After representing families who lost children to the tragedy of Electric Shock Drowning, Clark helped found the organization, which does everything in its power to prevent future deaths from occurring by providing information and education to the general public and the boating and marina industries. Clark has testified before the Kentucky House of Representatives’ Veterans, Military Affairs, and Public Safety Committee in support of new safety laws that would help prevent electric shock drownings from occurring within the Commonwealth of Kentucky. Additionally, he has helped provide input to families who have worked to have electric shock drowning prevention laws enacted in other states. Clark believes that the most important part of any law practice is the client. The experience of being injured, or the helplessness that comes from having a loved one hurt, is often indescribable. The civil justice system is unable to change what happened. However, Clark does everything he can to ensure that his clients are treated fairly. Clark does his best to provide support and encouragement to his clients throughout the litigation process. Additionally, he hopes that his work as a lawyer helps prevent future tragedies from occurring, making Kentucky safer.